Say Merry Christmas in style with our Personalised Merry Christmas Tin! 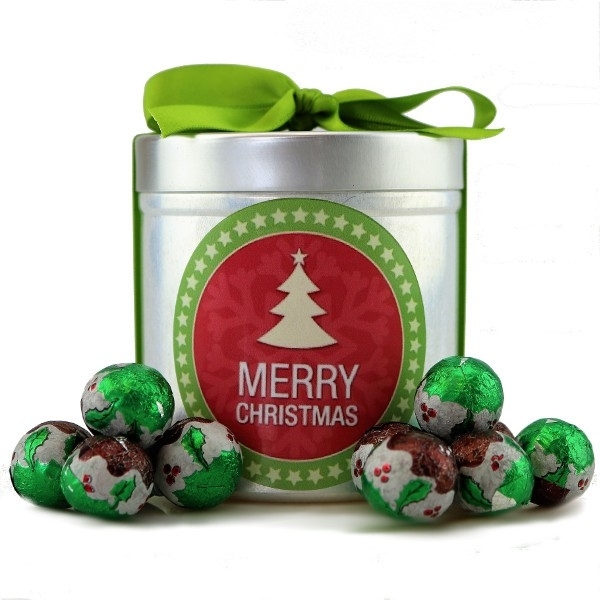 Filled with 45 mini festive foiled chocolate balls, nestled in our stylish tin finished and a personalised label. Why not add a little extra style to your tin and finish with ribbon in a colour of your choice!